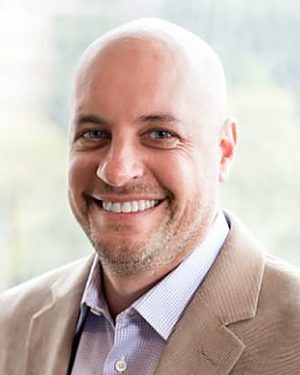 Prior to joining Kalypso, Scott was a key member of the New Business Development group at American Greetings, where he advanced new business conepts through their corporate stage-gate innovation pipeline by analyzing markets, identifying opportunities and evaluating sustainable business models. While there, he managed product development, packaging, regulatory compliance, pricing and merchandising. He also created customized sales programs, pricing and merchandising plans for both mass and specialty retail partners. Scott manages innovation strategy, business process optimization and system configuration and implementation projects across multiple industries. Scott has performed global solution design and implementation of NPD process, portfolio management and PLM systems for several of Kalypso's domestic and international clients. Other areas of expertise include PLM systems evaluation, product data mangement and organizational change management. Scott lives in Cleveland, Ohio with his wife Annie, daughter Isabel and son Miles. Scott enjoys playing the piano (sorry George, no punk - more the Bruce Springsteen, Billy Joel style), hiking, traveling and reading. He is a lifelong Cleveland sports fan and will go toe-to-toe with anyone debating Bernie Kosar's merit as a Hall of Famer. You can find Scott most summer evenings (and October afternoons twice a century) listening to the Cleveland Indians.